Short employee training videos can be powerful tools for leaders in developing their team. I'd like to introduce you to a friend of mine who excels at leadership development using this approach. His name is Joshua Adams. He's a retired Marine Gunnery Sergeant as well as the founder and CEO of Perspective Approach. 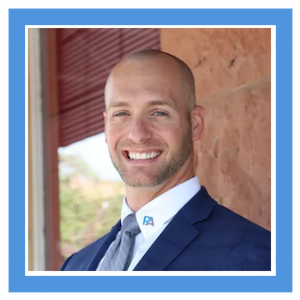 You owe it to yourself and your team to hear Joshua's story - this man knows leadership, and the tools and resources he offers is terrific, and very reasonably priced. 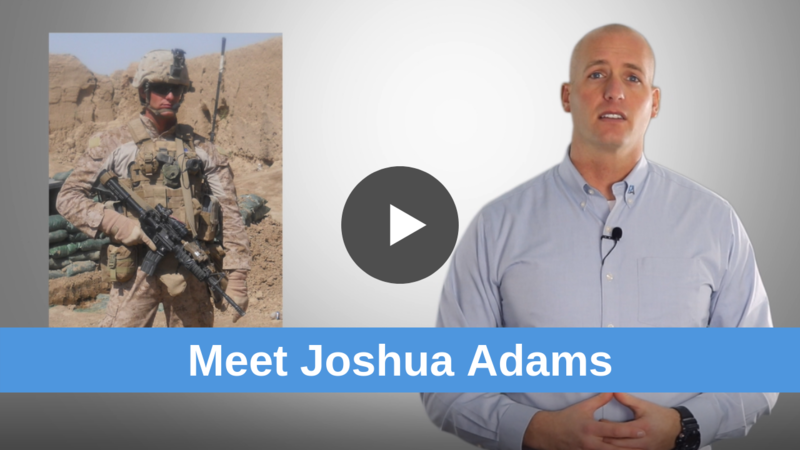 Joshua has personally trained and led tens of thousands of people serving in the U.S. armed forces domestically and abroad in Iraq, Afghanistan, and other areas of the world. He now uses his company, Perspective Approach, to develop leaders from a wide variety of industries across the nation. Joshua trains leaders of all levels how to become more effective and achieve better results (no push-ups required). He does this through highly experiential and intensive all-day training programs, executive and leadership coaching, keynote speeches - and online courses and tools, which will be our focus here. Joshua shares our vision of providing tools and training for leaders at no or low cost. As a way of continuing his service to his country, he has dedicated his time professionally to developing leaders as efficiently and effectively as possible. After asking hundreds of business owners, leaders, and employees in 16 different industries to describe the perfect employee, Joshua noticed they all said the same two words: "Well, obviously ___". The owner of a trucking company would say, "Well, obviously I need someone who can drive a truck." The owner of a bakery would say, "Well, obviously I need someone who knows how to bake." He realized that everything that left their mouth after "Well, obviously" were character traits like dependability, a strong work ethic, communication skills, integrity... and so forth. 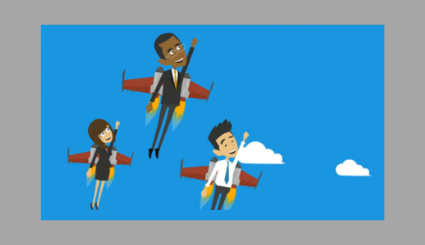 "Highly engaged employees are 480% more committed to helping their company succeed." So, Joshua created The Ultimate Employee to help leaders develop those qualities in their people using four-minute employee training videos, practical tools tied to each video, and an evaluation system that can be integrated into any existing performance review system. Joshua's motto, Shields to the Left, is a phrase that comes from the Spartan Phalanx formation. Each warrior had a shield that was meant for the protection of the man to his left. This is where the term "Right-Hand Man" comes from. As leaders, we have an obligation to use our talents for the person "to our left", and truly become a right-hand person. Watch this short video to learn about Joshua's powerful story, you'll be glad you did. After seeing Joshua's video, you can see see he's the real deal and has a passion for helping other leaders develop their skills and their people. because he wants to do it." A Sheepherder vs. A Shepherd While driving on the I-15 about an hour north of Salt Lake City, I saw a man riding a horse driving a couple hundred sheep. He was sitting up high in the back of the herd with his three or four dogs nipping at the heels of any stragglers and sheep who started going a bit too wide. His sheep looked no worse for the wear, and he certainly wasn't abusive to them, but I could sense their anxiety, frustration and desire for it to be over; to get to wherever they were headed. The herder looked as though he was performing more of a chore than taking any sort of pleasure in moving these sheep to where they needed to go, even if it was for their own benefit, as well as his. Contrast that with the shepherd that my grandfather was. When I was just a teenager, I witnessed my grandfather walk among his livestock on foot. He didn't sit on his 'high horse' but was down at their level. He had a single dog whose only real job was to keep the wolves and coyotes at bay, never to nip at the sheep. He spoke to his animals like friends, or even loved ones. They responded to his voice and were calm, even when the situation was tough, like during a storm or being herded into shoots for medicine. He also walked in front of them, leading them with confidence. I followed this same pattern in the Marines. Sure, in the middle of a firefight or a particularly intense training session, we yell and get very physical. But the rest of the time, I led as a shepherd. I always went first. I always took the time to explain myself when I was able, either before or after the training or mission. I strove to show empathy to my Marines - and it worked. I was promoted faster than any other Marine since Korea. It was the success of my Marines that I ultimately viewed as the true measure of my success. Contrast this with many supervisors and managers today. Frequently they use positions of power or authority (high horse) to send others (riding from behind and inspiring little to no confidence in their people) to accomplish a task. (doing chores instead of inspiring the heart of another human being) Effective leaders care for their people and can be direct when necessary, but always out of a desire to see their people and their organization succeed. Wouldn't it be nice if you could ask a proven leader with a record of success, leadership-specific questions at any time? Better yet, wouldn't you like to know that any of your employee's have immediate access to the answers at their fingertips? What is the real difference between managing and leading? How can a leader get people on board with their vision? How do you engage Millennials? What is the most impactful leadership principle and what are the leadership best practices? Is it more important to invest in developing my leadership skills, like personal communication techniques, or to invest in the development of my people? Using Joshua's collection of employee training videos, these and many more questions are answered in The Ultimate Employee. See more details below and be sure to try out the free preview to get a better idea of the program. This free preview to The Ultimate Employee course provides a clear vision of what employee's will receive. It's purpose is to teach time-tested concepts in a modern way. Under each of the free employee training videos is a challenge page that generates action and conversation. The full course includes lessons and exercises on a wide variety of character-driven traits and concepts. The Ultimate Employee 2.0 provides a collection of 40 employee training videos as part of a comprehensive training program that integrates tools and evaluation systems. The program is designed to teach and correlate character traits universal to work across all industries. 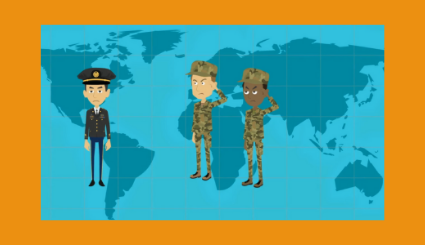 The program uses military stories, business studies, analogies, and more to strengthen leadership character and open lines of communication between managers and employees. If you want to create change, learn how to lead. This course teaches leaders at all levels how to effectively lead to overcome challenges and develop their subordinates to step up, take charge, and get results! The course includes leadership templates and tools to practically apply what's taught, so that you can use it immediately, and it comes complete with instructional employee training videos. If you are a long time reader of our website, you know we don't recommend products or services unless we truly believe in them. This is no exception. We are proud to partner with Joshua at Perspective Approach because we've fully reviewed The Ultimate Employee program. Yes, all 40 employee training videos and related materials. We believe as Joshua does... Leaders are not born, they are trained. The Ultimate Employee provides you and your team with the knowledge, training, and resources to create an ongoing culture of personal growth and development. Best of all, it's affordable no matter how large of a team you lead. So, if you have't yet watched the free preview, do it now. 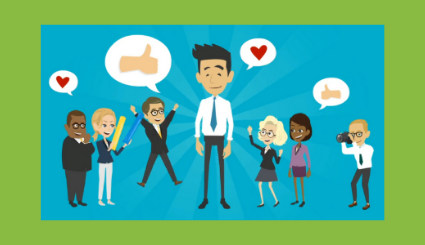 Consider sharing these valuable employee training videos with your team. You'll be glad you did.